A bird of thick forest, the Oriental Bay-Owl has a distinctive oval face but is difficult to observe as it hunts at night among dense branches and foliage. The facial disks are narrow, and the inner side of each disk projects forward from the head at the top. 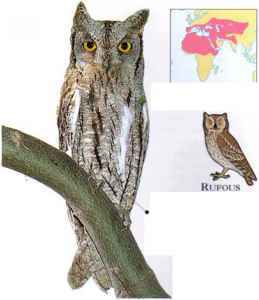 This results in two blunt projections of feathers at the upper end of the forehead, equivalent to the ear tufts of some "typical" owls (seepp. 193-203). The Oriental Bay-Owl occurs in dense forest and secondary forest (areas where trees have regrown after forest clearance). By day it roosts in a hole in a tree, becoming active at night, when it often relies on its hearing to hunt in complete darkness. The short, rounded wings and square tail enable it to maneuver through close-set young trees, and it uses its strong claws to cling to vertical stems, one foot gripping high above the other. A variety of prey is taken, including large insects, frogs, lizards, small birds, and mammals. The call is a rising phrase of musical whistles. 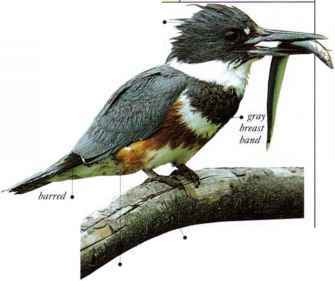 • Nest A cavity in the trunk or branch of a tree. • DISTRIBUTION N. India, Sri Lanka, and through Asia distribution jt v_i to China, Borneo, and Java.